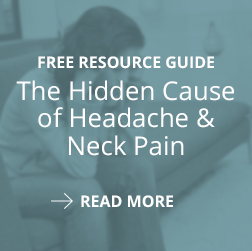 Headaches can occur for many different reasons �� in order to find the source of your headaches and determine if the TruDenta treatment process will be effective for you, your TruDenta doctor will speak with you in detail about your past headaches and their specific symptoms. 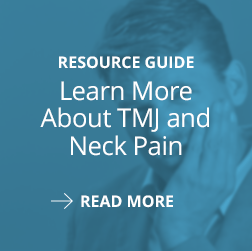 Your TruDenta doctor will locate the latent trigger points in your face and neck that restrict motion and contribute to jaw imbalances �� these knots of tense muscle are often missed without a thorough examination. "We went and did CT scans, we saw specialists, you name it, we did it...we heard everything from ��it��s anxiety; she��ll grow out of it�� to ��don��t worry about it; just give her Tylenol.�� After the second visit of [TruDenta] therapy, I had no more headaches �� I would do this 100 times over because it has been amazing." ��Getting up with tense muscles and a headache or just feeling like you haven��t had any sleep is huge and since I��ve been going through [TruDenta] therapy that��s changed...that��s huge for me, just being able to feel good in the morning and get my day started right." 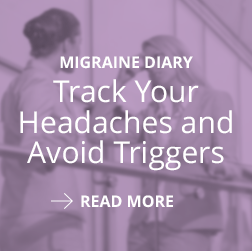 "I would lose days being stuck in bed with severe migraine headaches...I couldn��t talk; I couldn't read out loud to my children without my jaw seizing. The most relief I��ve had in over 10 years I have experienced in the last 6 to 7 weeks after starting this treatment." Why Are Chronic Migraines so Difficult to Diagnose?